A California start-up is taking the sting out of demand response with what it is calling ‘hybrid-electric buildings’, an approach that relies on advanced batteries, software and pools of buildings. 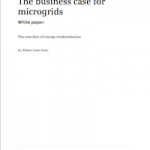 Advanced Microgrid Solutions, which recently won a contract to supply 50-MW of demand response to Southern California Edison, takes the old concept of aggregating buildings to a new level with today’s technologies. “It’s not the first time people have tried to aggregate buildings to serve as a big coordinated system of flexible demand. It is the first time I’ve seen anyone use this technology solution,” said Ralph Cavanagh, energy program co-director for the Natural Resources Defense Council. Aggregating buildings goes back to the 1970s in California. But doing so AMS-style – with today’s “vastly more sophisticated technology” – asks less of the building owner, and therefore is likely to encourage more to enroll, Cavanagh added. 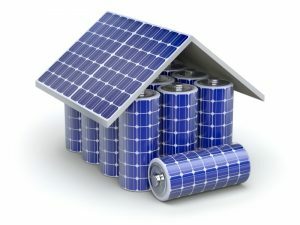 Advances in battery energy storage are key to the innovation. The process is automated and the building occupants don’t feel the sting when a demand response event occurs. When the utility calls upon the group of buildings to reduce use of power, they switch to their battery storage systems to draw energy. The process is instantaneous and painless to the occupants – no dim lights, warm rooms or rearranged work shifts for businesses. “They don’t see a difference because batteries provide the power when needed. Yet they get the reduction in their utility bills,” Pfannenstiel said. At the same time, the hybrid-electric building fleet takes a big bite out of the power demand for the utility. Together, the aggregated buildings become a kind of virtual peaker plant; rather than offering supply, the buildings drop load when the grid is under strain – and get paid for it. The company says it expects to put together aggregations large enough (10, 20, 30 MW etc) to provide real value to the grid. AMS is able to achieve such scale by tying together the power use of the fleet via software. AMS is now approaching building owners interested in forming aggregations. The company will design, install, own, and manage the storage systems, and work with the utility to determine their worth as local, zero-emission capacity. “Where buildings are located determines how valuable that load, that supply, is to the utility,” Pfannenstiel said. A power purchase agreement with the utility will serve as the foundation of the deal. Radical change is ahead, she said, with utilities building fewer power plants and instead harvesting energy capacity from fleets of buildings, so far largely untapped. Given the huge potential of hybrid-electric buildings, AMS’ experienced team is being carefully watched. The company is led by women – worth noting because it is unusual in the energy industry. “Given their histories, I wouldn’t bet against them. What’s impressive to me about this company is its leadership,” Cavanaugh said. Pfannenstiel is the former chair of the California Energy Commission, and was the first woman to serve as a corporate officer at Pacific Gas & Electric, where she worked for two decades. More recently, she was assistant secretary of the U.S. Navy, overseeing energy strategy. Susan Kennedy, CEO and board member, was chief of staff to Governor Arnold Schwarzenegger, cabinet secretary and deputy chief of staff to Governor Gray Davis and communications director for U.S. Senator Dianne Feinstein. She also served on the California Public Utilities Commission. More about AMS’ hybrid-electric buildings here. 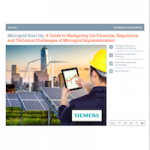 Keep up on the latest in energy efficiency and demand response. Subscribe to our free newsletter, Energy Efficiency Markets.